Drug addictions and alcohol abuse can destroy a person’s physical, mental, and emotional well-being. Not only does addiction hurt a person’s health, but also it can isolate the addict from their friends and family. It can be troubling to witness your loved one fall down the slippery slope of addiction. You may feel helpless and not understand what is happening to them. Luckily, rehab centers in Palm Beach can help. At our South Florida detox center, we believe in total healing for addiction including the mending of broken relationships. The importance of a family program for addiction treatment should not be underestimated. Addiction is a family disease and therefore, it requires special consideration like our family addiction program in South Florida offers. The greatest benefits of family therapy in addiction treatment is education on drug and alcohol addiction, the creation of a family support system, and family healing. Often, family members watch their loved one struggle with addiction but fail to understand the disease and its control over the addict. One of the benefits of family programs for addiction recovery is that the family can come to learn more about the disease and understand why their loved one may have acted poorly or pushed them away. As the family learns more about what their loved one is going through and they feel safe enough to open up, it should lead to the development of a family support group for addiction recovery. Knowing that their family supports their recovery efforts will only encourage the person addicted to continue on their journey to sobriety. Finally, the greatest benefits of family therapy in addiction treatment is the healing of broken relationships destroyed by addiction. While mending these relationships can take time, the safe environment created by family therapy can lead to the first and most important steps to creating stronger and healthier relationships. 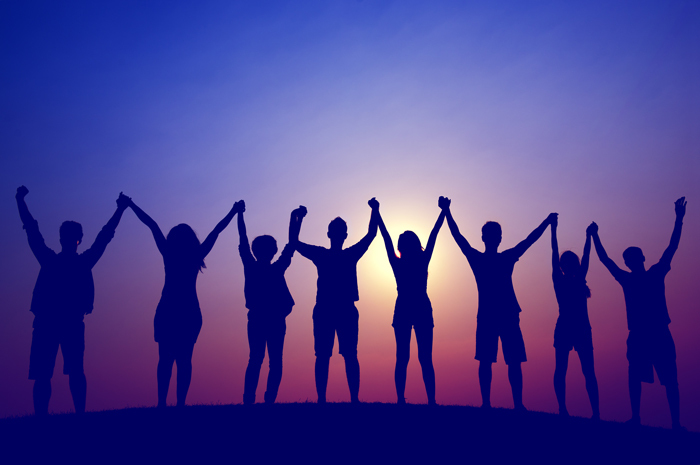 At our Florida alcohol and drug rehab, we understand that when you combine these three benefits together, it not only promotes the continued recovery of the addict, but also the healing of the family unit. Having a family that support the addict’s recovery and has a better understanding of what they are going through will lead to great behavioral health for the addict. Combined with our mental health treatment in Palm Beach, your loved one will be put on track for long-term recovery and healthier living. Whether you or a family member is suffering from addiction or mental health disorders, our individualized treatment programs in Palm Beach can help you get through this struggle together. Your loved one does not need to go through addiction recovery alone. With our help, you can be with them along the journey. Contact us today at 888-280-4763 to learn more about our drug and alcohol treatment center in Palm Beach and get started. Young adults can be especially prone to drug abuse. It has been found that out of all the high school seniors in the United States, 58% have had alcohol, 47.8% have taken an illicit drug, and 15.5% have abused prescription drugs in 2018.1 While you may want to disregard their bad habits as something they will grow out of, addiction can often blossom from these reckless behaviors, especially in party environments like college. In the blink of an eye, your child who casually drank and did drugs in high school could become a young adult who is dependent on drugs. As a parent, it can be concerning to see your child change. If your child is addicted to drugs, they may go from the happy child you raised to an almost complete stranger. You may be wondering if your child is an addict and if they need help with a drug or alcohol detox. As a rehab center in Palm Beach, we often see the negative effects of substance abuse on family relationships. When your addicted child pushes you away, this may be a cry for help. If your child is exhibiting these symptoms, there is a good chance that your child is addicted to drugs. If you believe that your child is addicted to drugs, you should get them help immediately. At our drug and alcohol treatment center in Palm Beach, we help people struggling with addiction to not only detox from drugs but also provide mental health treatment. With our family programs, you can be by your child’s side throughout their recovery. Call 888-280-4763 to get more information. Like many other diseases, addiction can be treated through a variety of options and there are many factors that come into play when determining the best level of care. Everyone will experience a unique journey through recovery and there are many benefits to holistic addiction treatment as well as a more traditional route. The addiction experts at our drug rehab in Palm Beach explain the differences between holistic treatment and traditional treatment for any addiction that is present. There are numerous benefits for both options and through professional care you will be able to start over and fully recover from addiction. If you are in need of addiction treatment in Palm Beach, read below to understand the different approaches to treating this disease. What are the Benefits of Holistic Addiction Treatment? When taking the holistic route towards recovery, individuals will be able to treat the mind, body, and spirit through unique therapy methods. Holistic therapies combine evidence-based treatment with natural therapy that helps patients feel more connected with their thoughts and emotions. This stronger connection allows patients to maintain greater control over their successful recovery. Holistic addiction treatment includes acupuncture, aromatherapy, meditation, and yoga during typical programming. Patients will be able to fully recover and heal from addiction at the same time as gaining a spiritual connection. There are certain patients that will experience positive results from this treatment approach and others who will need a more traditional route for success. Traditional addiction treatment is backed by scientific evidence and has helped so many struggling individuals recover from addiction and get back on track. Depending on the severity of the disease and the individual, a certain level of care will be administered. These levels of care include a full medical detoxification, residential treatment, partial hospitalization care, and intensive outpatient care to name a few. During addiction treatment, medical professionals will help an addicted individual detox from the drugs and substances in a safe and comfortable environment free from outside distractions. Traditional treatment also includes group and individual therapy sessions to help patients learn effective ways to prevent a relapse as well as feel comfortable enough to express their thoughts and feelings. If you are suffering from addiction, you may be wondering which route of treatment is best for you. After completing an initial medical assessment, addiction specialists will be able to determine if the holistic or natural route will benefit the patient. Contact our drug rehab in Palm Beach today at 888-280-4763 to learn more about the different treatment methods we provide and how we can help you regain control. With any start to a new year, this is the perfect opportunity to start fresh and to set realistic goals for yourself. A new year is the symbol for hope and new beginnings and if you are a newly recovering addict, this is a crucial time in your recovery journey. It’s so important to start this year off with an action plan for how you will preserve your sobriety. You can learn the tools for success in addiction treatment, but it’s how you apply these tools in the everyday setting that truly matters. At Behavioral Health of the Palm Beaches, we understand the importance of setting attainable recovery goals for the new year. We provide individualized addiction treatment services in Palm Beach for all who are battling with substance abuse. We suggest that you set broad goals for yourself that you know you wish to achieve throughout the year. These can include improving your exercise routine, engaging with other sober individuals, and practicing self-care. You should also set monthly and even weekly goals so that you can make sure you are staying on track with your recovery efforts. You can commit to your sobriety by attending weekly sober meetings and keeping up with therapy sessions. Other sober goals include staying active and eating healthy. This will ultimately improve your well-being, which goes hand in hand with your sobriety. If you engage in activities that make you feel better and happier, you won’t deal with added stress that can lead to triggers. Focus on building your support network as these people will truly help you get through the difficult times you may experience in recovery. It’s important to leave the past in the past and not dwell on your mistakes and addiction. This is the time to start over and transition into a new lifestyle with sobriety. You will live a more fulfilled life when you start to commit to your sobriety. Behavioral Health of the Palm Beaches wishes you a Happy and Healthy New Year! If you or your loved one is suffering from substance abuse, help is available. Seeking addiction treatment will be the best decision you can make for you and your family. Contact us today at 888-280-4763. While the holidays are filled with numerous celebrations and happy moments with your loved ones, recovering addicts may have a hard time navigating this time of year. The holiday season can spark triggers when individuals encounter parties and celebrations with alcohol, and this may bring about a great deal of stress. You also may feel extra pressure to make the holidays perfect and this can lead to a potential relapse. You can still enjoy the holidays this year while maintaining your sobriety, and there are ways to avoid drug cravings. Behavioral Health of the Palm Beaches is here to help you stay on track this holiday season, and here we provide tips for avoiding drug cravings. A sober holiday season is possible! If you are attending a holiday party with a lot of people, you should make sure that you have a plan for how to leave the event if you start to feel uncomfortable or if triggers are present. A large party with cocktails can impact your recovery efforts, and it’s okay to abruptly leave the situation if you feel that your sobriety will be compromised. Make sure you attend this party with supportive friends or family who understand what you are going through. You can also prepare in advance by attending sobriety meetings leading up to the holidays. You will be reminded of the tools you need to manage a challenging situation, and this is the perfect opportunity to reflect on the past year. If you are used to certain family traditions that involve eating and drinking during the holidays, it’s time to create new ones! There are so many sober activities that you and your loved ones can participate in and everyone will feel included. You can play games, attend a holiday play, or take a family vacation this year. If you are not surrounded by drugs or alcohol you will be less likely to deal with triggers. Don’t forget to take a moment to regroup if you start to feel anxious or stressed. The holidays are the time to enjoy your loved ones and celebrate a new year. If you are struggling with substance abuse, it’s time to get the treatment you deserve. While some people think that addiction is a moral failing, this is not the case. Addiction is a struggle that can be perceived as a disease, and the physiological manifestations of addiction reinforce this opinion. Studies show that when someone is an addict, their brain has a deficit in the function of the prefrontal cortex – the region of the brain responsible for reasoning, reward, and more . When someone is an addict or alcoholic, their prefrontal cortex does not understand how to properly respond to stress . Many argue that this is a learning disorder more than a disease, in which a person’s mind and body have learned to count on substance abuse rather than other natural coping mechanisms. Whether you consider addiction to be a learning disorder, a disease, or an unfortunate circumstance, professional treatment for addiction is key. When someone is struggling with addiction, they’re facing a variety of mental, physical, and emotional difficulties. Drugs and alcohol are incredibly manipulative and breaking free from their grasp requires expert help. There are also many negative effects of substance abuse on family relationships, which are best repaired through a family addiction program in South Florida. Without professional treatment for addiction, it can be difficult to understand how to help an addict or alcoholic. There are mental factors of addiction, not to mention dangerous withdrawals during detox, that are best addressed at professional addiction treatment programs in Palm Beach. Failing to get professional help for addiction and detox can result in failed sobriety and even life-threatening situations. For a solid path to recovery, professional guidance, detox, and rehab for alcoholics and addicts makes all the difference. At Behavioral Health of the Palm Beaches, we are a drug and alcohol treatment center in Palm Beach offering personalized services for detox, treatment, and more. With professional treatment programs, successful sobriety is attainable. Don’t put sobriety at risk, don’t leave it to chance. Contact our team today to learn more about our addiction, alcoholism, and mental health treatment programs in Palm Beach. Call 888-280-4763 to get started with professional treatment for recovery. Sources: Harvard Health Publishing, Is addiction a “brain disease”? Philadelphia, PA (CBS12) — Chris T Jones took Philadelphia by storm in 1996. The receiver from Cardinal Newman High School and the University of Miami seemed to be on the path of to be a superstar wide receiver. Jones works as a supervisor for Behavioral Heath of the Palm Beaches,a drug rehabilitation program, helping those that have lost their way get back on their feet. It’s a process that the West Palm Beach native has lived through himself. In 1996, Jones was one of the best receivers in the NFL, and was poised to sign a big contract to stay with the Philadelphia Eagles. One day during the preseason he was offered a 5 year, 15 million dollar contract. I turned it down that day,” says Jones. “And that evening, we were playing the Baltimore Ravens, and I got tackled (and injured my knee), and I didn’t even have to be in there. Jones never got his big contract, and his knee never was the same. Then another similar hit two preseasons later ended his NFL career. Jones has found that calling now. He may not have been able to pick himself off that Veterans Field turf, but now he’s helping to pick up those that have hit rock bottom. A much more admirable feat than scoring touchdowns. Despite playing just one full season in the NFL, Chris T. Jones remains in the NFL record books. He and receiver Irving Fryar combined for 158 catches, which remains tops in Eagles history for a receiving tandem. We seem to be constantly trying to change the public’s perception of substance use disorders and of people with substance use disorders. At best progress is slow. The terms “stigma” and “shame” have a lot in common. “Stigma” may be what is inflicted upon us by others. “Shame” is what we carry. We’ve been trying to change the world. That’s hard to do. It’s easier to “have the courage to change the things we can.” Is it possible that we create at least some of the “shame” that feeds the stigma? It’s possible that we do. This is also the image that we present to the public. Maybe we have to change. Chronic diseases require monitoring over the course of a lifetime. It is recognized that symptoms may become active at any point in time and shame is not attached to the reoccurrence of symptoms. People with hypertension are not shamed when their blood pressure becomes unstable. The word “relapse” is not applied to the recovery process for any other chronic disease. “Relapse” is a word that is shrouded in shame. We treat patients with substance use disorders intensely for about a month and then they graduate. They often become members of an Alumni Association. Let’s say that we treat patients with an average age of 30 to 35 years. They can generally expect to live another 30 to 35 years. The only measure of success that we give them is lifespan abstinence. So we set up an expectation that a person with a chronic disease will be symptom free for the 30 to 35 years that they will spend in recovery. And when symptoms do reoccur we start the process all over again, only this time with have a patient with even more shame. We treat another acute episode. This is another way that we create failure. 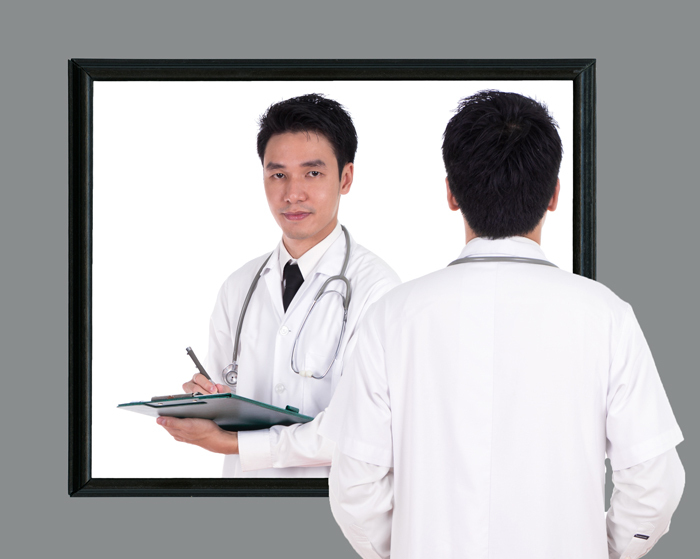 Episodic care leads patients to say things like I’ve been to treatment three times. “Doesn’t that sound like I’ve failed three times?” Yes, it does. I’ve stopped asking “how many times have you been in treatment?” I simply ask for a history. On the other hand, we generally expect a patient to be in denial and ambivalent about recovery. So we expect a patient who is in denial of their disease and probably doesn’t really want to be in treatment in the first place to work hard? We can’t have it both ways. We also allow patients to diminish themselves. Ever heard people in treatment or recovery refer to them selves as “convicts” or “inmates?” I have, and too many times I’ve just ignored it. The disease beats them down. We don’t have to help it. Today, I intervene in the conversation. Using labels may depend upon the mutual support group that a person prefers. Labels are more regularly used in 12-step recovery meetings than at SMART meetings (if unfamiliar with SMART go to: (www.smartrecovery.org ). There is flexibility at both. I suggest giving patients the option. Do we believe that treatment works? A lot of people, including professionals who work very hard to help others, perceive that treatment for substance use disorders is not very effective. The same can be said for people in recovery. It seems like failure is expected. It may be argued that minimizing stigma and shame will result in better outcomes. Well, there we go again. Chronic diseases do not have outcomes. Treatments for acute conditions have outcomes. Treating a cold makes it go away. It’s over. Chronic diseases hang around. When we measure the effectiveness of treatment by looking at the status of the disease over time, we measure up very well. How did we get here & how do we fix it? Maybe we got here because we are all a part of the culture that shaped our thinking. Are we over the temperance movement hangover yet? We may have accepted the stigma and shame far too easily. On the surface, the changes we need to make do not seem that difficult, but changing how we\’ve been shaped takes time, effort, and practice. Stigma and shame keeps people from coming to treatment and it keeps people from coming back if they need to. I suspect that there will be people who read this and say something like we can’t help people until they are willing to change. A better question may be, “Are we willing to change?” Do we have the courage to change the things we can? Dr. Weiner has regularly published in professional journals and presented at professional conferences. Comments and/or questions can be e-mailed to mweiner@seasidepalmbeach.com. Social Anxiety Disorder and Alcohol Use: I’m SAD! I need a drink! Being sad is one thing, but suffering from social anxiety disorder (SAD) is a totally different ball game. This is the same way that “wanting” a drink differs from “needing” a drink. When joined with problem drinking, this forms a lethal combination. For a long time, experts have witnessed that people with anxiety disorders are susceptible to substance abuse and vice versa, but determining which one is the preceding problem has been a stumbling block for diagnosis. What causes SAD? Many researchers believe that it might be related to the abnormal functions of the brain circuits that regulate fear and anxiety. Genetics is also thought to play a part in its roots, since social phobia occasionally runs in a family. Other factors include stress and environment. The fear of making a mistake or humiliating oneself in front of others can be debilitating to a person with SAD. Taking a drink to calm one’s nerves is often used as a coping mechanism. Anxiety disorders, which affect over 40 million adults (or approximately 18 percent of the population), are the common mental illnesses in the United States. According to the Anxiety and Depression Association of America, an estimated 15 million Americans suffer from SAD. The disorder often surfaces during the teenage years or early adulthood and is more prevalent in women than men. Although highly treatable, sadly, only one-third of those suffering seek professional treatment. 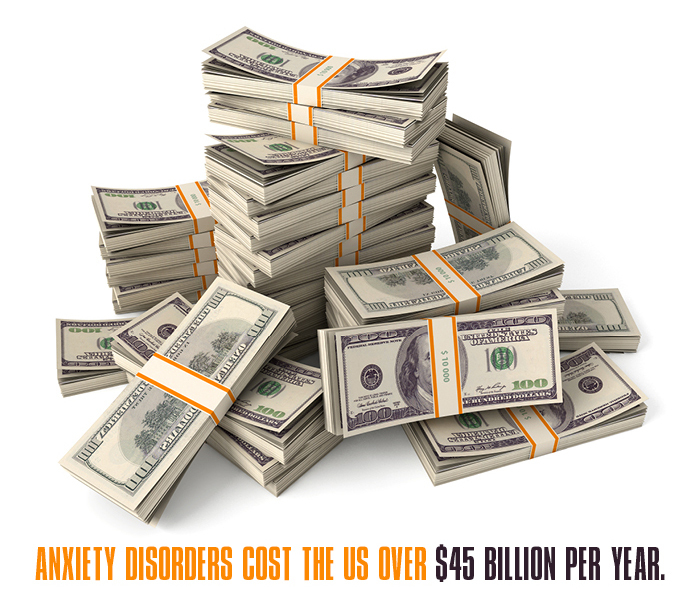 The economic costs associated with anxiety disorders in the United States are overwhelming. In the 1990, the costs were estimated to be around $46.6 billion. The majority of the expenditures was tied to the loss and reduction of productivity and other indirect costs, instead of treatment. Even after diagnosis, individuals are often leery about seeking professional help. They underestimate the seriousness of their condition and believe that they can fix the problem themselves. 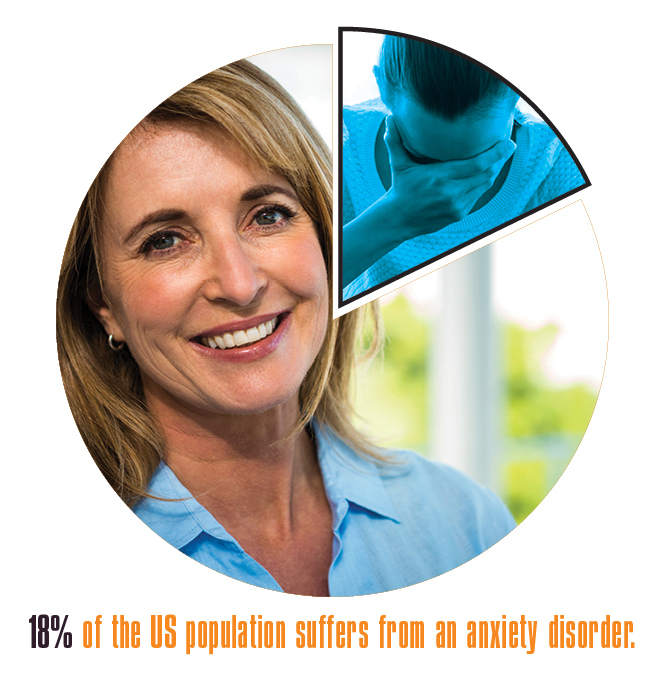 Instead of seeking treatment, alcohol and other substance are often used for self-medicating an anxiety disorder. Researchers are investigating just how frequently people are using and abusing self-destructive alternatives to deal with SAD and other anxiety-based disorders. Individuals self-medicating an anxiety disorder are two to five times more likely to develop an alcohol or drug problem within three years. A 2011 longitudinal study that includes almost 35,000 U. S. adults revealed that 13 percent of those who had consumed alcohol or drugs during the previous year had done so in order to relieve anxiety, fear or panic. It also found that individuals with a diagnosed anxiety disorder who were self-medicating at the beginning of the research were two to five times more likely to develop an alcohol or drug problem within three years than people who did not self-medicate. One of the most frequent self-medicating techniques is alcohol consumption. 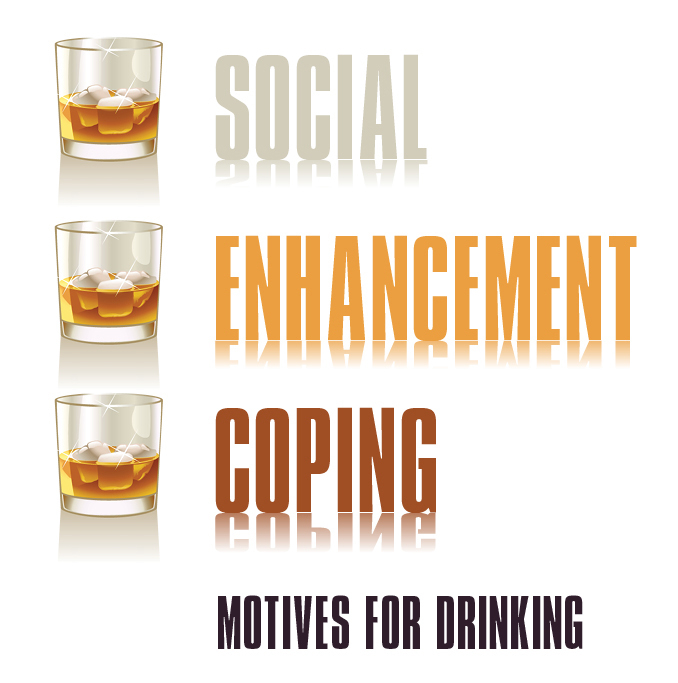 Individuals turn to alcohol because it help them feel more in control of a given situation or encounter. It also lowers inhibitions and reduces self-consciousness. In some social gatherings, such as parties and mixers, alcohol is available in abundance. Additionally, alcohol can interfere with the thinking process. Drinking a couple of glasses wine before a presentation may seem like a way to lessen tension. However, that consumption can lead to making errors and possibly fumbling through the talk, which could increase the anxiety for any future communications. Thus, this compels the anxiously-minded individual to drink even more alcohol and starts a vicious cycle that is difficult to break. If you suffer from SAD, don’t make the mistake of trying to eliminate your problems with alcohol SAD is a psychological disorder and should be treated by medical professionals. Treating SAD with alcohol leads to additional problems that can destroy relationships with families and friends. If you or a loved one has already started self-medicating with alcohol, the experts at Behavioral Health of the Palm Beaches can help. With nearly 20 years of experience, our doctors can develop a treatment program that gives you better options to deal with your anxiety issues. Alcohol is not a safe and healthy way to deal with anxiety. Call us at (888) 432-2467 for healthier possibilities. SMART/12-Step: It’s not a contest. A few months ago we began to offer a weekly meeting of SMART (Self-Management and Recovery Training) at Seaside Palm Beach as another tool in the arsenal that a person in recovery can use to maintain abstinence from addictive behaviors. Twelve-step recovery meetings continue as they always have. The weekly Smart meeting has become popular. I can say that a number of people have integrated SMART into their long range plan for continued abstinence. I was a little bit surprised at the impression a few people had of SMART even before we offered to first meeting. One person said “when I get to the point that I really want to drink I’m not going to do a cost-benefit analysis.” He’s probably correct. However, as I pointed out, “you’re not likely to call your sponsor either.” It doesn’t matter if a person is using 12-step recovery, SMART, or some combination, the reason we use meetings for support is so we don’t get to that point. 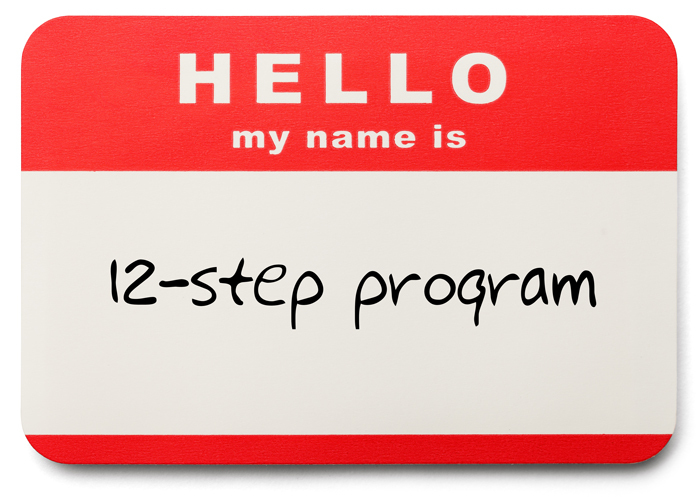 I’m a SMART facilitator and a long time believer in 12-step recovery. I’m good at manipulating. So, if a person brings up “spirituality’ at one of my SMART meetings I will ask “what are the needs you are looking to fulfill?” I will then gladly put items such as belongingness,” “rootedness,” “the desire to be a part of something bigger than oneself” on the agenda for the evening. It also occurs to me that if there’s no need for a Higher Power, what do you call a group of people supporting each other? On the other hand, “came to believe….” seems fairly cognitive to me. There are clearly people who object to 12-step’s religiosity. Probably the worst thing someone can do is tell another that 12-Step is not religious.” It is! I’ve often wanted to tell non-believers to “get over it.” Most of the time they don’t. So for some people SMART may be the only social support for recovery. That would be great if SMART was as geographically available as is 12-step recovery. It’s not even close. Fortunately, SMART has a great website (www.smartrecovery.org). Great websites are also available to support 12-step recovery (www.intherooms.com ). Is an addiction a disease? SMART recovery does not take a position. Alcoholics Anonymous (AA) makes reference to an allergy to alcohol. Does it make a difference when it comes to maintaining abstinence? Probably not. In any case, it’s unlikely that a group of recovering people is going to settle an issue. It takes a lot of energy to maintain abstinence. Leave the argument to scientists. The goal of SMART recovery is abstinence from addictive behaviors. It does not advocate moderation. It is true that SMART meetings are open to people who have not yet decided to abstain from addictive behaviors. People who have yet to make that decision are welcome providing they are not disruptive. AA is open to anyone with a “desire not to drink.” AA is open to anyone with a “desire not to drink.” AA is likely to attract some people still engaged in the addictive behavior. They need to have the desire. That’d not a stipulation of SMART recovery. Point is that both SMART and 12-step recovery may attract people who are still using. I think that SMART attracts a few more. Whether that’s a positive or a negative is debatable. What’s not debatable is that SMART is less shaming. People who find labeling (“my name is …….., I’m a…..”) will feel much more comfortable at SMART. In 12-step recovery there’s an emphasis on “powerlessness.” SMART emphasizes being “empowered.” The difference may not be as great as it seems. It can be argued that accepting “powerlessness” over an addictive behavior actually frees you up. A good number of people will reject this argument. I see pluses and minuses regarding SMART’s use of trained facilitators. The thirty hour on-line certification process is very well done. My experience has been that SMART facilitators are very professional. I’m not sure that the thirty hour process screens out people who shouldn’t be facilitating groups. I believe that participants in a SMART group attribute skills to a facilitator that go beyond what the facilitator is trained to perform. 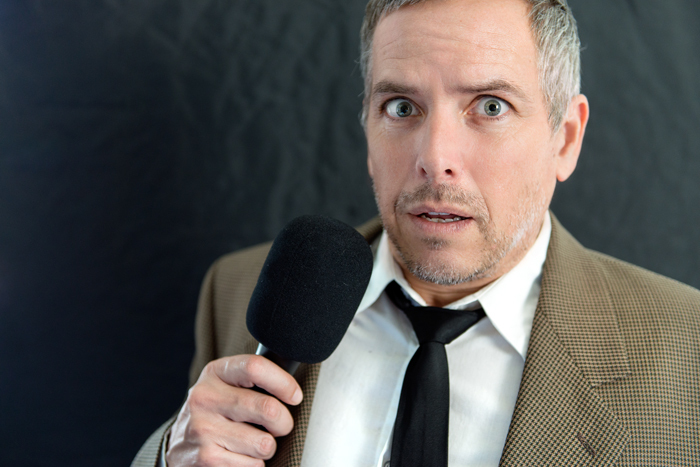 However, sponsors in 12-step programs are frequently seen as having magical powers. The thing to remember about 12-step and SMART is that they are both support groups, not professional help. So what does it come down to? My belief is that when a person is ready to give up an addiction petty arguments about whether one support group being spiritual and another cognitive will go away. That being said, a person has to start somewhere. Whether it’s 12-step or SMART it really doesn’t mater. A person working a strong recovery will find comfort in both.